Is Open Adoption Confusing to the Child? Open adoption is an entirely different animal than closed adoption. The dynamics of an open adoption can be quite complex, depending on the situation and the terms of the open adoption. In short, open adoption is not only confusing to the child but for everyone involved. However, confusing does not equal unhealthy. Open adoption is very healthy, but it does take some getting used to and navigating. My 10-year-old niece is also adopted and has a very good grasp on open adoption and is not confused at all. Just like my daughter, she has always known she was adopted. There was no grand revelation or shock. She just understood the dynamics over time. She knows her adoptive mom as her “mama” but also knows her birth mom as the mom who gave her life. She has great but differing relationships with both. 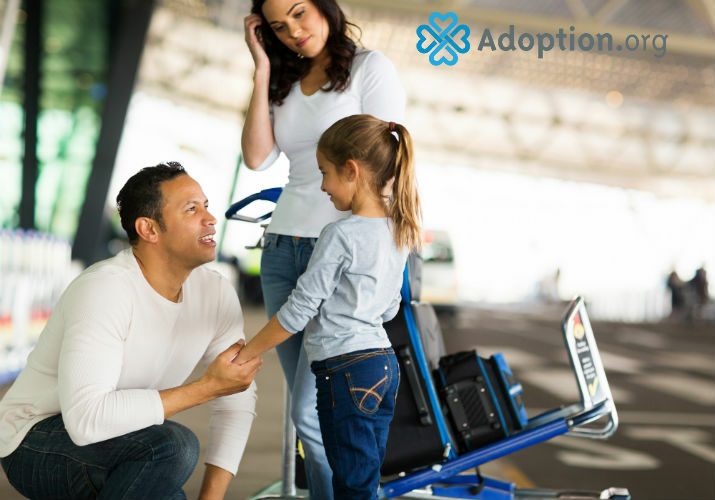 Open adoption can be confusing in terms of figuring out how a child will relate to each parent. What I have come to learn through my own experience and the experiences of others is that these relationships happen organically. There is so much worry and thought put into title and pride. Children are resilient and incredibly perceptive. My daughter will relate to her mom much differently than she will relate to me. She will share things with her that I simply won’t be able to and vice versa. Open adoption can be confusing, but children usually navigate it like pros. Open adoption is a fantastic way to not only minimize the loss in the adoption but to also prevent a child from going through a grand identity crisis due to the mystery surrounding their adoption. If my daughter or son has questions about certain attributes or characteristics they believe they have inherited, they have an open door to communicate with their birth parents. The mystery has been removed and adoption will be their “normal.” It may take them some time to understand what being adopted means, but it will come. Open adoption can seem daunting and tangled, but it is a beautiful, messy gift of love for your child.